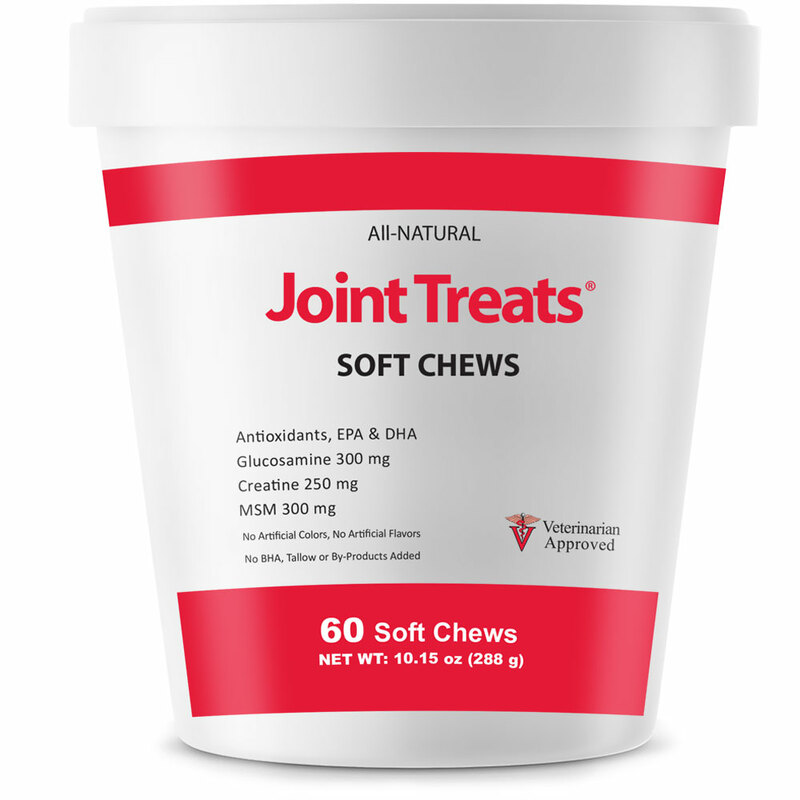 Joint Treats® are a tasty all-natural pet treat with Glucosamine, Creatine, MSM, EPA, DHA, Manganese, Zinc, and Vitamin C to keep joints healthy and dogs happy. Bacon, molasses and hickory smoke flavor gives it an irresistible taste. 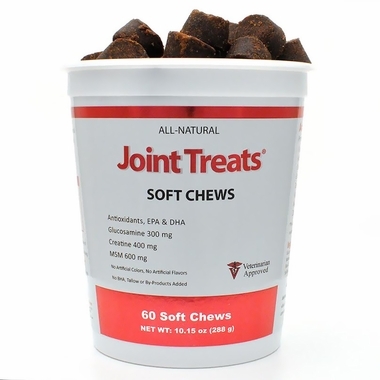 Joint Treats® are a tasty all-natural pet treat with Glucosamine, Creatine, MSM, EPA, DHA, Manganese, Zinc, and Vitamin C to keep joints healthy and dogs happy. These powerful active ingredients combined with natural bacon, molasses, and hickory smoke flavor create one tasty, soft treat. Glucosamine is an easily absorbed natural substance that may stimulate the production of proteoglycans, which help maintain the health and resiliency of joints and connective tissues. Glucosamine helps to maintain synovial fluid that lubricates the joints and helps sustain joint mobility. Manganese is included to support bone heath while EPA and DHA (omega-3 fatty acids) working together, may ease the stiffness and soreness from normal daily exercise or activity by cushioning tissues. Zinc acts as an antioxidant to help remove damaging free radicals, while MSM and Vitamin E may give a boost of energy. Give Joint Treats to your dog as a reward, while in turn helping to support healthy joint function. 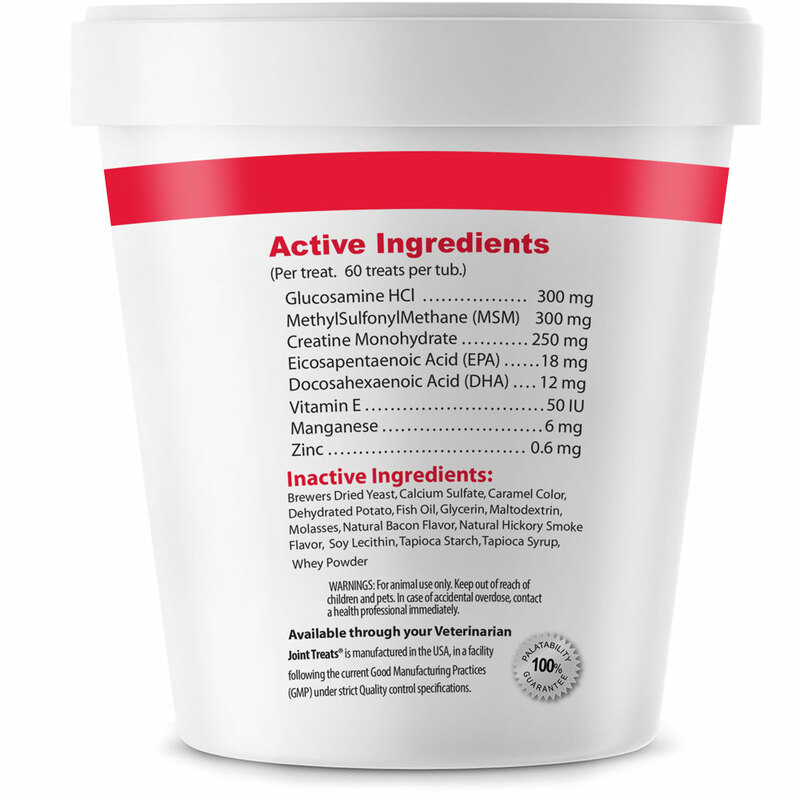 Can be used with joint supplements such as JointMAX®, SynoviG3®, or Glycoflex®. 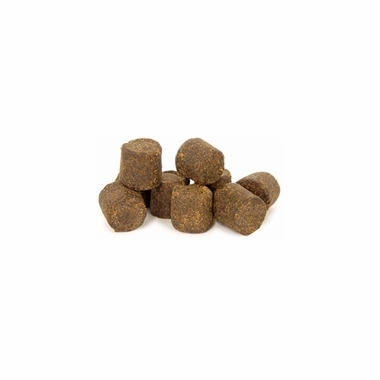 *This compound is not recognized as an essential nutrient by the essential AAFCO dog food nutrient profile. 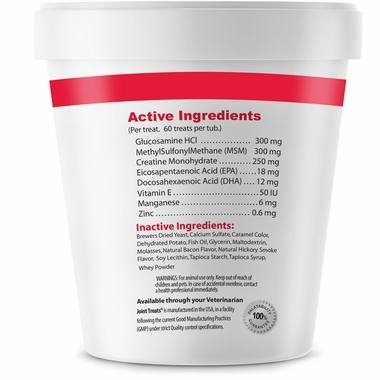 Ingredients: Glucosamine HCI, MethylSulfonylMethane (MSM), Marine Lipid Concentrates, Soybean Oil, Natural meat flavors (non-bovine origin), Vitamin E, Manganese Sulfate, Zinc Sulfate. For best results, double the recommended number of treats during the first 4 weeks. 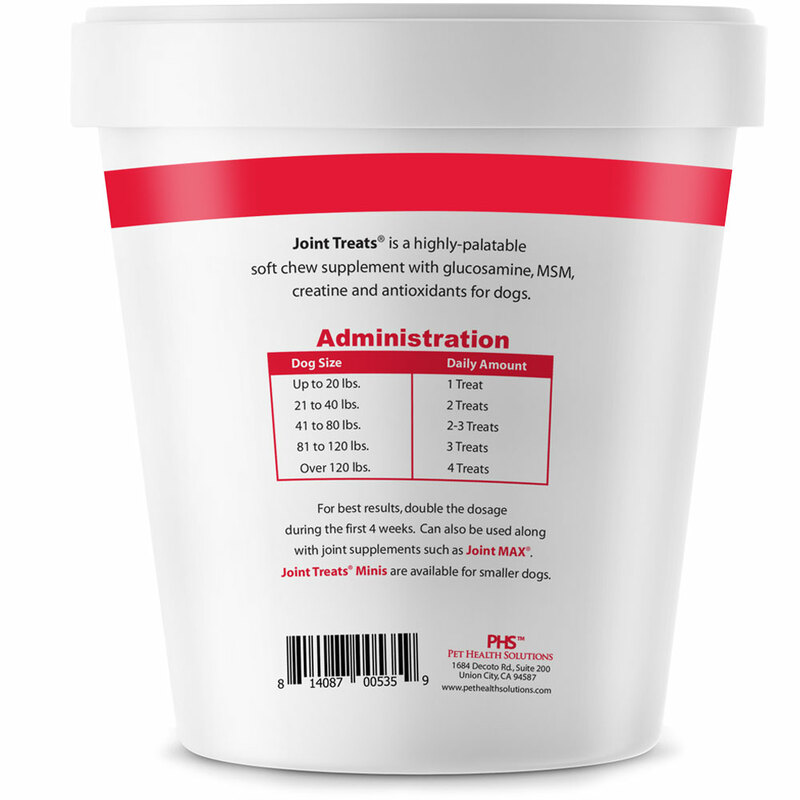 Can also be used along with joint supplements such as Joint MAX®. 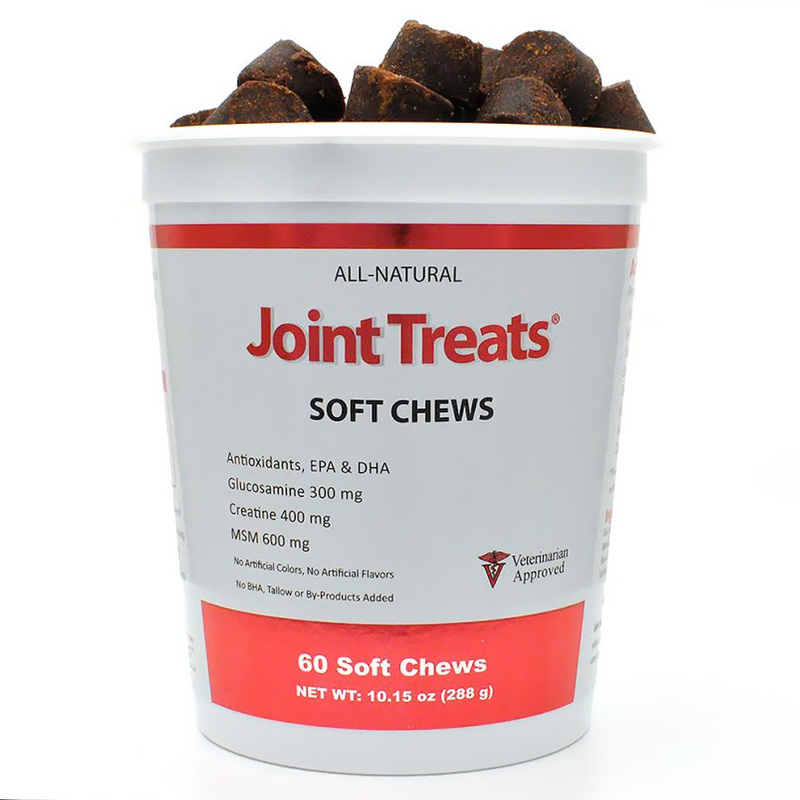 Joint Treats® Minis are available for smaller dogs.